The Miller-B Swivel Bar Stool adds a sleek look to any space and is versatile enough to be used practically anywhere. 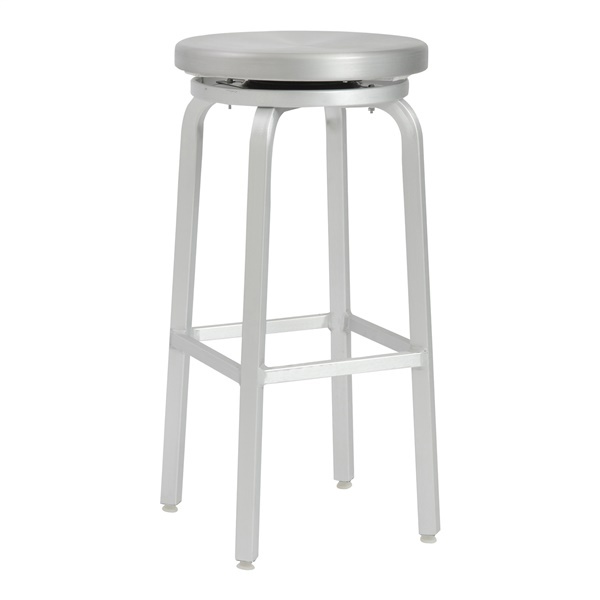 This modern stool features a solid aluminum seat and frame and conveniently swivels. It can be used inside or outdoors to add convenient and stylish seating to any environment.